« Jodrell bank campaign..we will not go without a fight! UFO lights seen at Phoenix…. “A north Phoenix man told “The Arizona Republic” that he saw his neighbor launch several helium balloons with flares attached to them shortly before people began seeing the four red lights about 8 p.m.
That raised the possibility yesterday that the lights over Phoenix were sky lanterns, large objects resembling a balloon with a flame at the bottom. People use them for celebrations. “Dozens of listeners called News/Talk 92-3 KTAR just after 8 p.m. Monday, reporting they were watching the four mystery lights. “From my position, it looked like they were just hanging, not moving at all,” said one man, who called 92-3’s “Gaydos After Dark.” He said he “absolutely” saw something” (extract from article). Ireporter (CNN) Brad Drenning on youtube reporting on mystery lights [ also the comments to this are also interesting ]. he seems to suggest that this is not a flare? 3 different videos-phoenix red lights (it claims are a hoax ) balloons with flares attached?? also the comments are interesting reading. “kare11.com has “Mystery over strange AZ lights may be solved” (posted 23rd april, 2008 )…short article. Also video at kare11.com see here . “By Tuesday afternoon, there were 125,000 page views of the story on azcentral.com, 600,000 page views on the photographs and 40,000 viewings of the video. The story was on the Drudge Report, FoxNews.com, ABC News and newspaper Web sites across the country. Almost immediately, there were theories about what the lights might be. Perhaps they were high-altitude flares that were visible from a great distance in the clear Arizona sky. Or maybe they were airplanes or helicopters or weather balloons. One Phoenix man said he saw his neighbor launching small flares attached to helium balloons. The mystery couldn’t be answered by civilian or military authorities ” (extract from article). It also has “Strange lights appear over valley again” (posted 21st april, 2008 ). Azcentral has more “UFO hunter expects more Phoenix lights” with video (22nd april, 2008 ). At NECN extra it has a video, but with no audio at http://www.necn.com/Boston/SciTech/UFO-sighting-in-Phoenix-/1208881093.html . At tampabays10.com “UFO’s over Pheonix” (posted 22nd april, 2008 ) it mentions reporter Anne Ryman, who lives in Deer Valley, reported seeing four lights in a square shape that eventually became a triangular shape. The lights were moving to the east and they disappeared one by one. She said the lights were visible for about 13 minutes at about 8 p.m..
One north Phoenix resident, who wished to remain anonymous, said he saw four or five red lights lined up in a straight line and spaced apart evenly. The lights slowly moved east and became dimmer as the witness watched. He said the last light remained in the sky the longest. Then three jets came from the west and traveled in the direction of the red lights” (extract from article). Also with a video link. 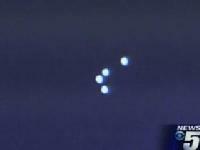 abc15.com “Unexplained lights spotted above valley; were they flares? ” (with links to videos, and eyewitness acounts). At blogs.phoenixnewtimes.com “Valley fever – Air traffic controllers who saw UFO muzzled by FAA” (posted 22nd april, 2008 ). Also, “Chopper pilot says UFOs probably balloons with flares” Posted 22nd, april 2008). I am afraid i have not looked into this much at the moment (just skimmed the surface as it were). Will definately try and find out more…. If you are interested in the Phoenix lights from 1997, please go to the right side of my blog; in topics i write about…. from pull down list, click on phoenix lights, and archive will be shown on page. It does seem that, they were indeed road flares, attached to helium balloons… as has been pointed out in several forums such as abovetopsecret; this if true, is extremely dangerous for obvious reasons. However, if any new information is made available, i will update ASAP. For instance, there is an interesting article by the National Ledger about this …. see here for link (posted 23rd april, 2008 ) which asks some important questions. This entry was posted on April 23, 2008 at 5:11 pm	and is filed under are we alone?, extraterrestials, news, newspapers, out of this world, pheonix lights, science, triangular ufo, ufo, ufo balloons, ufo cover up, UFO Documents/archives, ufo in north america, ufo research. You can follow any responses to this entry through the RSS 2.0 feed. You can leave a response, or trackback from your own site. Flares? Flares Dont make intelligent patterns. Flares don’t take off or fly off one by one and then the last one stayed for 45 minuets. Flares have a limit as to how long they burn these exceed that. Does anyone out there have night vision? Like star light night vision, it doesn’t require UV light enhancments? Most of you are missing all these crafts, I really dont understand why? There is alot of them there and most of them DONT TURN ON THIER LIGHTS AT NIGHT. 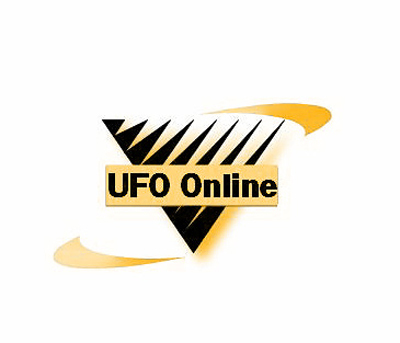 Tony M… thanks for your comment; unfortunately this is a fact of Ufology, and is regretable, as we all have to double check our data, check the analysis, and so on, to try and not become decieved by hoaxes. Admitedly we get them wrong sometimes(and own up to it,but carry on, but learn from them); however, some say this keeps Ufology on its toes and makes us look carefully at each sighting…as blind faith is fatal. I do get annoyed by hoaxes, do not get me wrong, but i can see the other side of the argument as well…just. And thanks for your take on this Michael…. Oh and i have never created/made up a hoax ever! Just to make that clear. They where Angles a sign of the Great revival. Everyone knows that God is moving big time in AZ just wait tell you start seeing the dead come back to life. Mark my words people it’s almost here.